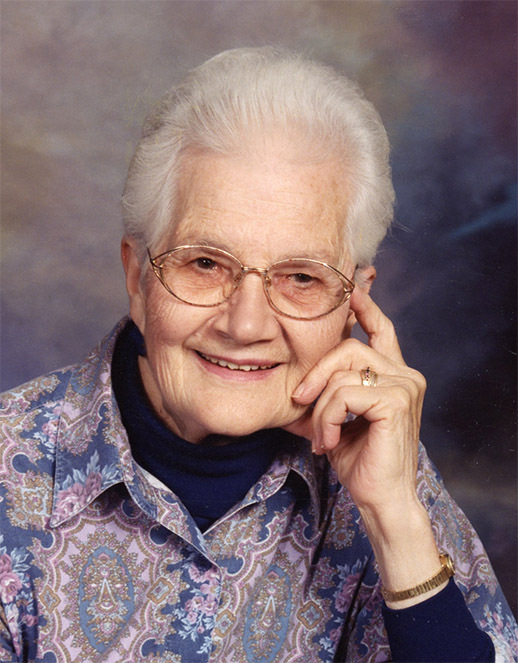 Maggie Friesen, age 97 years of Altona, formerly of Neubergthal, Manitoba passed away on Tuesday, October 23, 2018 at Eastview Place. She is survived by her sons Dennis (Joanne) Friesen, Jim (Claudia) Friesen, Glen (Sharon) Friesen, Wes (Deb) Friesen, Doug (Bonnie) Friesen, and Terry Friesen, as well as daughter-in-law Wendy Friesen, 13 grandchildren, 22 great grandchildren, and 1 great great grandchild. She was predeceased by her husband John A. Friesen, and her son Jerry Friesen. A private family funeral service will be held. Public viewing will be at Wiebe Funeral Home Altona on Thursday, October 25 from 1:00 p.m. to 9:00 p.m., and Friday, October 26 from 9:00 a.m. to 9:00 p.m.